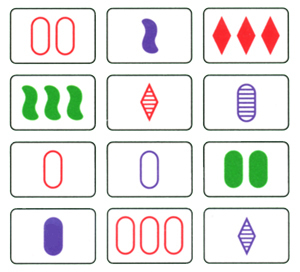 Happy New Year, and welcome to this week’s Math Munch! Meet the Harriss spiral. 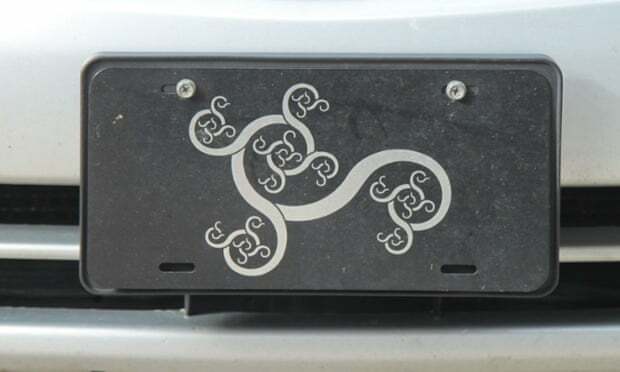 It was discovered/invented by mathematician and artist Edmund Harriss (featured before here and here) when he began playing around with golden rectangles. A golden rectangle is a very special rectangle, whose sides are in a particular proportion. You can read more about them here— but what’s most important to this new discovery is what you can do with them. If you make a square inside a golden rectangle you get another golden rectangle– and continuing to make squares and new golden rectangles inside of ever-shrinking golden rectangles, and drawing arcs through the squares, is one way to make the beautiful golden ratio spiral. Edmund Harriss decided to get creative. What would happen, he wondered, if he cut the golden rectangle into two similar rectangles (same shape, just one is a scaled-down version of the other) and a square? 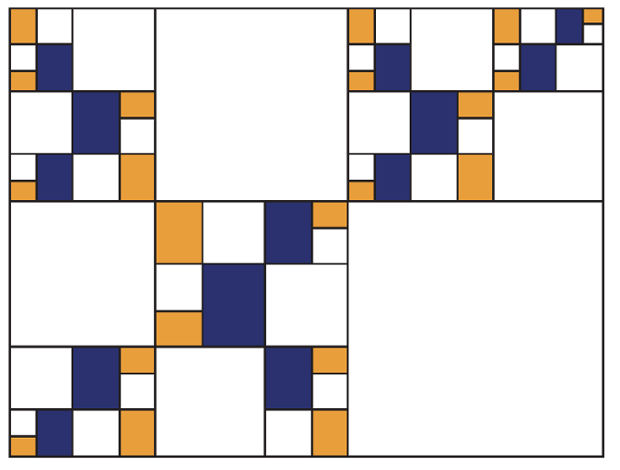 And then what if he did the same thing to the new rectangles, again and again to make a fractal? Edmund’s new golden rectangle fractal makes this pattern, and when you draw a spiral through it, you get a lovely branching shape. But don’t take my word for it. Math journalist Alex Bellos broke the news just this week in his article in The Guardian. 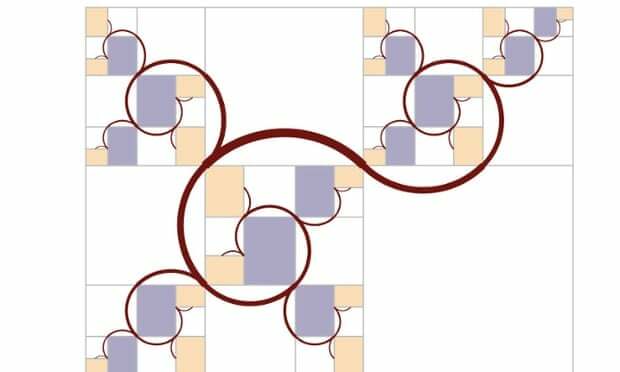 His article explains much, much more than I can here– check it out to learn many more wonderful things about the Harriss spiral (and other spirals that Harriss has created…)! Next up is a site that sounds quite a lot like Math Munch. But it’s all games and cartoons, all the time. (Maybe that means you’ll like it better…) Check out Math Snacks, a site developed by a group of math educators at New Mexico State University. They worked hard to create games and animations that are both fun and full of interesting math. 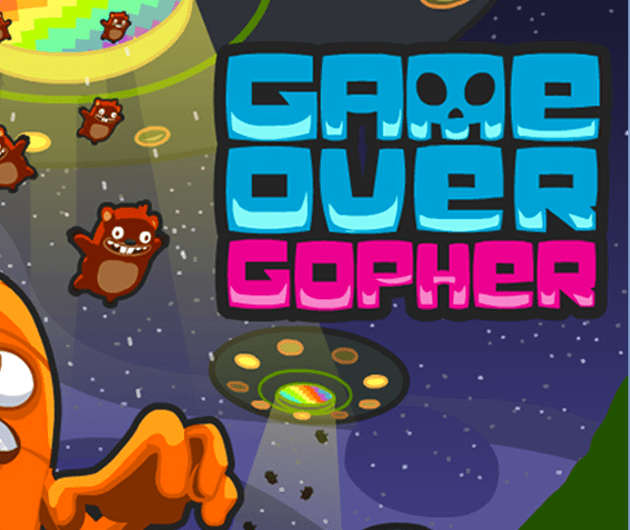 One of my favorite games on Math Snacks is called Game Over Gopher.In this game, you have to save your carrot from an army of gophers by placing little machines that feed the gophers. Where’s the math, you may wonder? Placing the gopher-feeders and the other equipment that can help you save the carrot requires you to think carefully about geometry and coordinates. Finally, speaking of games, here’s one of my favorites. I love to play SET, and I recently found a way to play online– either against a friend or against the computer. Click on this link to start your own game! Want to hone your SET skills without competing? Here’s a daily SET puzzle to challenge you. Enjoy the games (and maybe invent a spiral of your own) and bon appetit!